In 1972, the first great break-up in Philippine liner shipping after World War II happened. The then No. 1 shipping company in the Philippines, Carlos A. Go Thong & Co. broke when its general manager Sulpicio Go decided to go it all alone. The old company then just exceeded the old No.1, the Compania Maritima which was already in a death spiral but nobody realized it then considering that as late as 1968 and 1970 Compania Maritima still purchased great liners with the one purchased in 1968 a brand-new one from West Germany (the Filipinas which became their flagship). 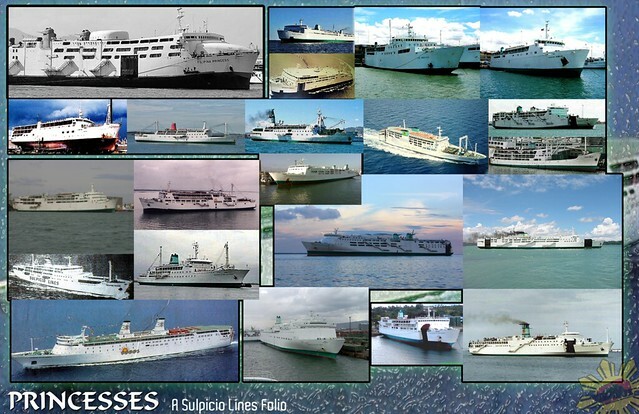 Sulpicio Go then founded Sulpicio Lines Inc. with 16 ships coming from the old company. Of the 16, twelve were liners and the others were regional ships. Still with that size, Sulpicio Lines started with a Top 5 ranking in the local totem pole of shipping companies. Not bad for a start especially their fleet had many liners that came from Europe. The remnant of Carlos A. Go Thong & Co. became the Carlos A. Gothong Lines, Inc. (CAGLI) which still bears the name of the founder and the other one was Lorenzo Shipping Corporation (LSC) which were owned by the siblings of the owner of CAGLI. For strength, of course, and to better withstand the tremors of the splintering, the two pooled operations but they retained different names. From the billing one can surmise that CAGLI was at the helm of the combine. But if one analyzes the fleet holdings, it would look like Lorenzo Shipping Corporation was the stronger one with more ships but this was not apparent to the public. One of the weakness of the CAGLI+Lorenzo Shipping combine was their lack of good liners. Out of the 10 liners from Europe that arrived for Go Thong in 1963 to 1969, only four went to the combine. 6 of the 10 went to Sulpicio Lines and 3 went to CAGLI but 2 of those were graying ex-“C1-A” ships which were World War II surplus ships that were broken up anyway in 1973. Only one of the 10 liners from Europe went to Lorenzo Shipping Corporation. Well, even the liner Dona Angelina (the former Touggourt) that came in 1972 also went to Sulpicio Lines. 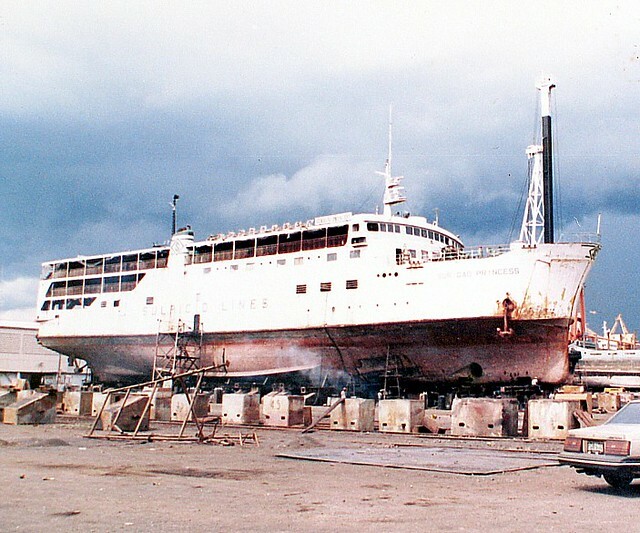 Another retained ship of Carlos A. Gothong Lines Inc., the Sarangani Bay which came from the National Development Corporation (NDC) and was a former ship of the Maritime Company of the Philippines (the international line of Compania Maritima) was also broken up and even earlier, in 1972. 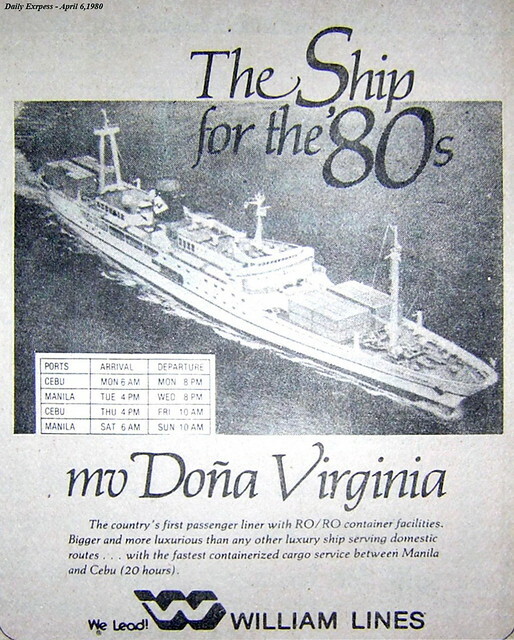 Another retained ship, the Dona Paz (the former Dona Hortencia; this was a different and earlier ship than the infamous one which sank off Mindoro in a collision with the tanker Vector), Go Thong’s only liner from Japan was disposed off in 1974. With those disposals Carlos A. Gothong Lines Inc. began buying small cruiser liners from Japan which were just in the 50-meter class, in the main, which were mainly good for the secondary lines as it were no bigger than the ex-”FS” ships. Lorenzo Shipping Corporation did not dispose much but it also began buying small liners from Japan and those were slightly bigger than what CAGLI was buying. Well, it seems the two companies were affected then by the fast devaluing peso which made ship acquisitions more expensive. Together the combined CAGLI+LSC fielded those and their few retained ex-”FS” ships against the competition. The combine was not shabby as some might think. They just don’t have the glitz and the glitter and they used cargo ships to augment their fleets. 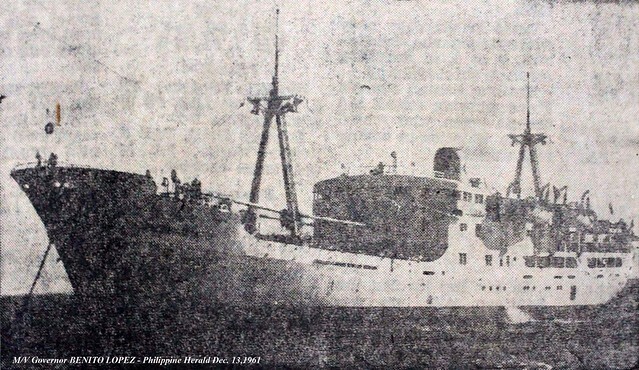 The biggest shipping companies then can field 15 passenger-cargo ships from the mid-1970’s and the list is short: Aboitiz Shipping Corporation (including subsidiary Cebu-Bohol Ferry Company), William Lines Inc. and Sulpicio Lines Inc. The combined CAGLI+LSC was able to match that! Compania Maritima has less ships but their ships were bigger. In reckoning, that meant CAGLI+LSC combine was in the Top 5 of the national liner shipping field and maybe even higher just before the break-up when in 1979 they had a total of 24 ships. Well, that is not bad and it is even surprising for a remnant of a big shipping company. But that will also show how big Go Thong will then be if they did not break up! If they did not then they will have over 30 liners, the same number as WG&A at its peak although admittedly the latter’s ships were bigger and better. What changed in the combine, however, was they were no longer challenging for the prime Manila-Cebu route as they didn’t have good liners for that. The primary liners of competition were simply better than theirs and they don’t have the fast cruiser liners (like Sweet Faith, Sweet Home and Cebu City) that were already dominating the Manila-Cebu route then. However, they were making a spirited fight in the Southern Mindanao and Northern Mindanao ports and routes. They were still not beaten. In 1979, a new paradigm began to appear and appear fast in the local shipping scene, the container ships. Before, it was the passenger-cargo ships including the passenger-cargo liners which were carrying the cargo. If liner companies have cargo ships, it was very few and some didn’t even possess one. Now with the shift, it seems it was already de rigeur to acquire one including the associated container vans. It looked it is the only modern and safe way after all the headaches and complaints in the damages and pilferage of loose cargo loading (LCL). If one studies the following course of events, it seems Carlos A. Gothong Lines Inc. and Lorenzo Shipping Corporation had a difference of opinion in how to handle the completely new and threatening paradigm, that of container shipping. CAGLI voted to leapfrog to ROROs while LSC voted to play in the container trade and even withdrawing from passenger shipping eventually. And this might have provoked the split between them. The two then played not only different paradigms but also two different areas of concentration. Carlos A. Gothong Lines withdrew from the Southern Mindanao ports and routes while Lorenzo Shipping Corporation concentrated there. But how they went from 1980 and on will definitely require a different article as the paths of the two companies diverged already.